Through out the year, we have the pleasure of being able to display our works at the Crown Street Gallery, within the Crown Street Gallery. 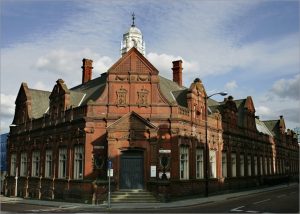 The Crown Street Library is located opposite the main Post Office in Darlington. The Gallery can be found, by entering through the larger side entrance (Pictured Below), and to the left, after the secondary entrance. Our previous galleries can be viewed by clicking on the below links.